When my son was born, his sister was two and a half years old. She decided, slightly before his arrival, that she was no longer interested in day sleeps. Midday would see me staggering from her bedroom like I was emerging from a battle ground. My hair in disarray, my nerves jarred. Breathing deeply through frustration. Nothing I did would work. No number of books, lullabies, patting or cuddling would sooth my defiant toddler to sleep. It only got worse after my son made his appearance. I know I wasn’t alone. 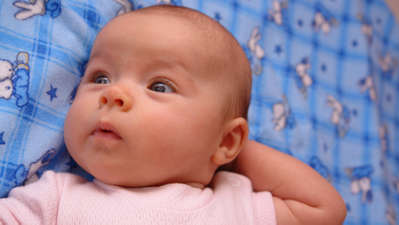 Many of my friends gave up their first child’s day sleep after the second arrived. It was just too hard to juggle the two. The problem isn’t that we lose a much-needed break in the day (though that is painful in itself). The problem is that when toddlers drop their day sleep, they pick up their Mr Hyde personality on the way through. Have you ever had to deal with a small, tired child at 4 or 5pm? It’s like upsy-down town has replaced reality. No means yes and yes means no. Tantrums and tears can erupt at the smallest provocation. I’m talking sitting next to them on the lounge or asking them if they’d like something to eat. Things that we adults rightly assume are reasonable actions, but for tired toddlers spell the end of the world. While many kids are ready to drop a day sleep by two and a half or three, Cindy Davenport says it’s all about recognising their tired signs. She’s a registered midwife and the founding director of Safe Sleep Space. “The big thing for us as parents is to look at their cues and behaviours. Don’t wait for the late tired signs, when a child is rubbing their eyes, or pulling their ears or yawning. That’s way too late, you’ve missed it. 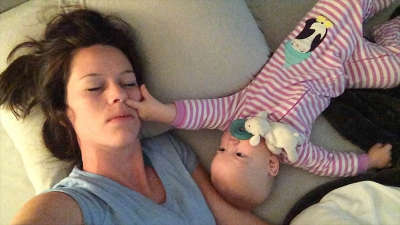 We get our parents to recognise the subtle, really early tired signs - the really long blinks, or that pale face or that stare-y eye that they give you,” she says. If they’re tired, let them have a nap. If you’re not seeing any of those signs, and their behaviour is generally good in the afternoon, they’re probably ready to drop their day sleep. My son stopped having a day sleep when he was around three years old. Nothing we did could get him to sleep, and Mr Hyde was a regular afternoon visitor. Either that or we would leave him on the lounge for a minute, and come back to his little cherub face blissfully deep in sleep. Which meant he would be awake until about midnight. So what do you do when your child refuses to sleep but obviously still needs it? Cindy’s advice for this situation is to build in some ‘rest’ time for your child. That might be doing some stretching, mindfulness or reading a book for about 30 minutes after lunch. If your child still falls asleep at random points in the afternoon, Cindy says they need it so let them sleep. Just make sure you wake them at around 60 minutes. There’s nothing wrong with letting your child sleep longer, just be prepared for your timing that night to blow out (that is, you may have a late-night party on your hands). The other thing to keep in mind is the time your child wakes in the morning. If they’re an early riser (before 6am) you can’t expect them to last all the way through until 7pm without a nap. Most toddlers need around twelve hours sleep a night. Cindy says that the ideal time for a child to be in bed is between 7pm and 7.30pm. Each child is different. Some kids will drop a sleep younger than others. Some will still need a midday rest even when they no longer sleep. 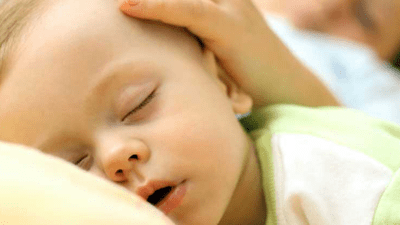 The period of time when your child drops their day sleep can be a rocky one, but Cindy says if we tune in to them – the time they wake, their behaviour in the afternoon, whether they need ‘rest’ time in the day or just a short nap – we can manage it all a little better.